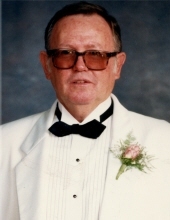 David Lewis Bishop, age 88, of the Pleasant View Community, Williamsburg departed this life on Monday, January 14, 2019 at the Jellico Community Hospital in Jellico. He was born on May 13, 1930 in Bon Jellico, Kentucky to the late Charles Cecil and Nora June (Claxton) Bishop. He was also preceded in death by two brothers, Jerry and Bill Bishop. David was a member of Pleasant View United Methodist Church and a member of the Williamsburg Masonic Lodge #490 F & AM. He was a veteran of the United States Army, obtaining the rank of Sargent; he was stationed in Austria and Germany. He was a graduate of Rockholds High School. He was employed by the Kentucky Department of Transportation for over 41 years. He is survived by his wife, Bonnie (Warfield) Bishop of Pleasant View; son, Scott Bishop (Dee Dee) of Pleasant View; two daughters, Deborah Moses and Cheryl Cole of Pleasant View; three granddaughters, Heather Cole of Lexington, Brittani Norman (Justin) of Corbin and Courtney Pence (Devin) of Louisville; step grandson, Dan Moses (Dana) of Lexington; step granddaughter, Jessica Cole of Lexington; three great granddaughters, Raelyn Cole of Lexington and Kree and Kolins Norman of Corbin; step great-granddaughter, Elle Moses of Lexington;; brother, Ronnie Bishop (wife Brenda) of Fayetteville, Ohio, and a host of friends to mourn his passing. Visitation will be after 6:00 P.M. Friday, January 18, 2019 at Croley Funeral Home. A Masonic Service will be conducted by the Williamsburg Masonic Lodge #490 F & AM at 7:30 P.M., Friday, January 18, 2018 at the Croley Funeral Home Chapel. The Funeral Service will be at 3:00 P.M. Saturday, January 19, 2019 at the Croley Funeral Home Chapel with Rev. Toy Adams officiating. Following the Service he will be laid to rest in the Pleasant View Cemetery. Military Graveside Honors will be conducted by the American Legion Honor Guard of Jellico. In Lieu of Flowers memorials may be made to the Pleasant View Cemetery Association or the Pleasant View United Methodist Church. To send flowers or a remembrance gift to the family of David Lewis Bishop, please visit our Tribute Store. "Email Address" would like to share the life celebration of David Lewis Bishop. Click on the "link" to go to share a favorite memory or leave a condolence message for the family.